I wrote about the Ganpati celebrations at my grandparents’ home and the festivities that followed. If you’ve read about it here, you will have noticed the rather unusual menu for that day. There is a simple explanation to it. The Ganpati set up used to be an elaborate and laborious one. Since the idol was made at home by my granduncle it had to be perfect, as did the decorations. This meant that the idol would only be ready to be installed that evening, unlike most homes where the idol is installed and the puja done in the morning. This evening schedule meant that the first proper meal of the day could only be had after offering it to Ganpati. Lunch was therefore a bit of a compromise, and could not include grains of any sort. Salads being an alien concept back then, the next best thing was this dish of spicy peas washed down with some cool lemonade. There was always something special in the air that day that made this rather frugal meal simply delicious. It’s fabulous on its own but now I sometimes serve it with steamed rice and plain lentils as a quick weekday dinner. I hope you enjoy it as much as I did and continue to do. In a large saute pan, heat the oil. Add asafoetida and cumin seeds. Once the cumin seeds splutter, add in the spices. Take the pan off the heat and swirl the oil so that the spices are well mixed. Add in the onions and put the pan back on the heat. Cook till the onion is transparent and add the peas. Add salt. Cover and cook on low-medium heat till the onions are mushy and the peas are done. The onions are cooked till they are mushy and almost invisible to the eye. It’s the peas that are the stars of this dish so use the best of the season. 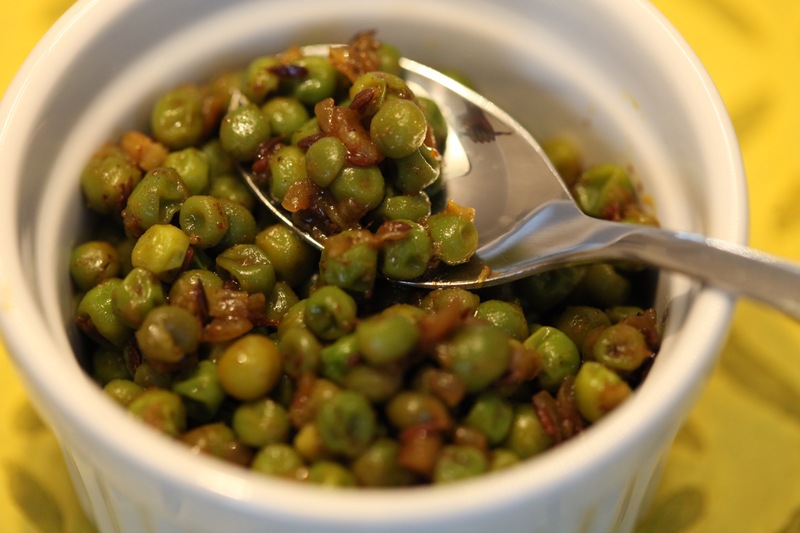 If you are using petit pois you may not need to cook them for as long. This also makes a great filling for hand pies/samosas. The sambhar masala is a garam masala unique to the Pathare Prabhu community. You can omit it altogether or use a pinch of regular garam masala in its place. This entry was posted in A-Z 2016, Festive food, Seasonal food, Seasonal Veggies, Vegan and tagged #AtoZchallenge, A-Z 2016, epicurious, ganpati menu, green peas, Mumsnet Blogging Network, petit pois, spicy peas, turmeric, vataane, vegan dinner, Yummly. Bookmark the permalink. Peas are not my favorite but Ganpati ji surely is! He is one God that truly calls for faith from me! 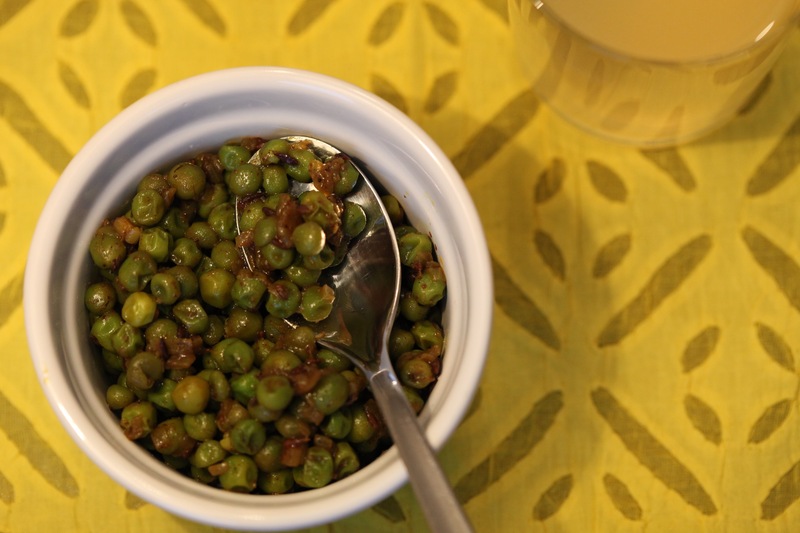 We make something similar only without any masala – just the peas with ginger juliennes. It’s typical of winters and is absolutely delicious. This is a lovely recipe Monica. I make the same with garam masala or dhania-zeera powder. Ganpati Bappa Moriya!